Welcome back to the Comic Book Herald reading club. This week we read a Marvel Knights sample platter from 1998 to 1999, including Daredevil #1 to #5, Black Panther #1 to #5, and Inhumans #1 to #3. In 1998, if you were a Marvel comics reader, there’s a good chance you were peripherally very familiar with the likes of Daredevil, Black Panther, and the Inhumans. Matt Murdock would show up every once in a while in Spider-Man, Black Panther’s an erstwhile Avenger and the King of Wakanda, and the Inhumans are always running into scraps the Fantastic Four eventually fix. On their own, though, I can’t imagine many Marvel readers circa 1998 expected much from the crew. With the exception of Daredevil, who had the highly lauded Frank Miller runs boosting his reputation (albeit as the misconstrued “Red Batman”), the Marvel Knights imprint launched largely with Marvel “also-rans.” Street-level, or lesser known heroes, in grittier, more personalized comics. It’s not like this never happened in the 90’s (look at DC’s Starman for example), but given how popular individualized, artistic reflections on “wow I never really thought I’d care about this character so much” heroes are today (Hawkeye, She-Hulk, Ms. Marvel, Silver Surfer, Superior Foes of Spider-Man… you know all the best ongoing/recently-ended Marvel books), it’s worth crediting where credit is due. 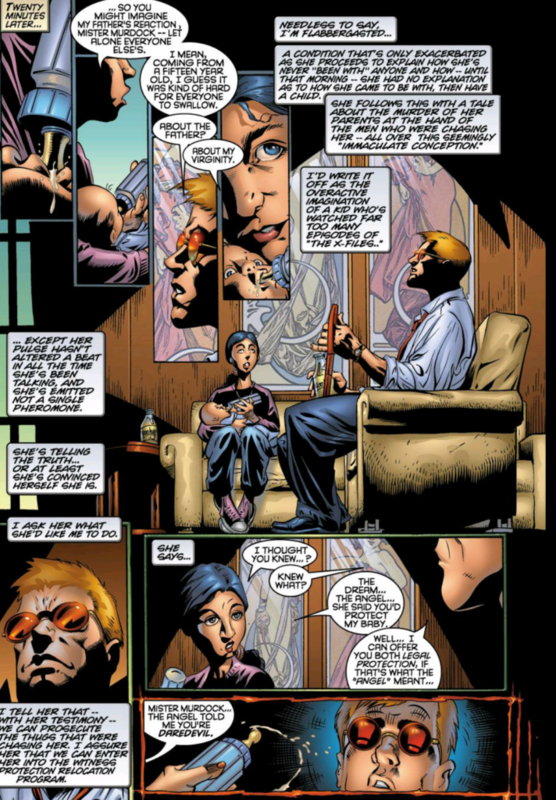 Marvel Knights sparked this trend, and rose to the challenge of not only creating memorable comics, but convincing you a new element of the Marvel Universe was worth your time. 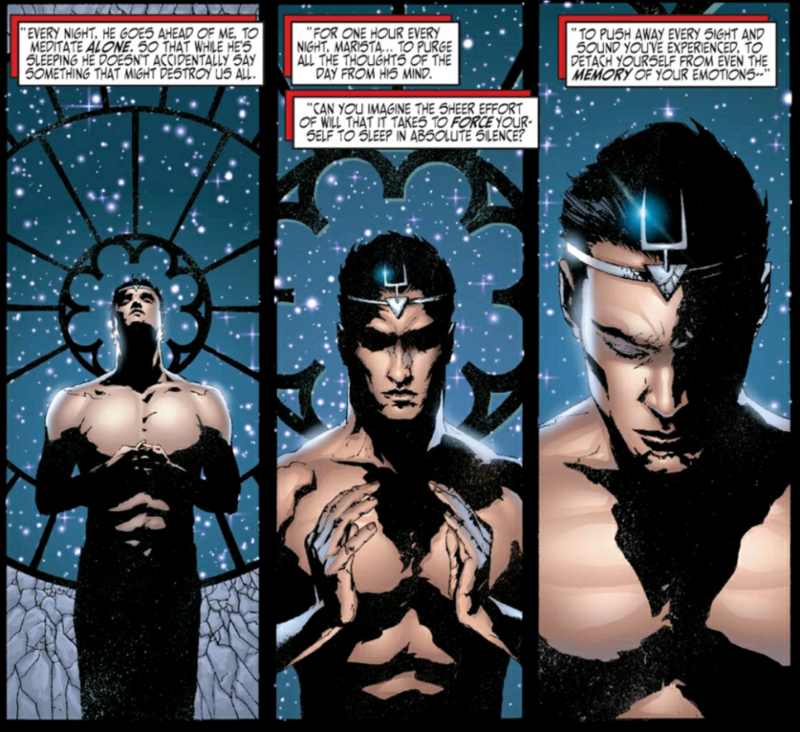 Forget that Spider-Man guy for a second; Black Bolt is a freakin’ KING. When I first started reading modern comics (my definition of modern being a series from 1998 read in 2010) it was Marvel Knights that drew me in. I plowed through Inhumans, Black Panther, and then Daredevil with fervent hunger, completely immersed in these new (to me) worlds. I have to admit that I approached these re-reads with a good bit of nervousness. Knowing what I know now, will these comics hold up as the essential sparkplugs they once were? In the case of Inhumans and Black Panther, I was pleasantly surprised to find they’d lost none of their luster for me. Inhumans in particular is graphic novel perfection. Paul Jenkins’ grasp of Inhuman history, of this isolated royal powerhouse sitting smack in the middle of planet Earth, completely transcends the Inhumans’ previous potential. Jenkins builds lineage and tradition into these pages, to the point that Black Bolt and the royal family are hardly even around by issue #2. It’s an entire culture blossomed in the span of three issues. Writers spend years trying to establish worlds like that. Then there’s Jae Lee who simply became my first favorite artist after reading this series. I’d never seen anything like this, and in many ways, the only times it’s been close are with Lee’s work on other series like Sentry (also with Paul Jenkins) or more recently on Batman/Superman (not as strong, but still pleasant). 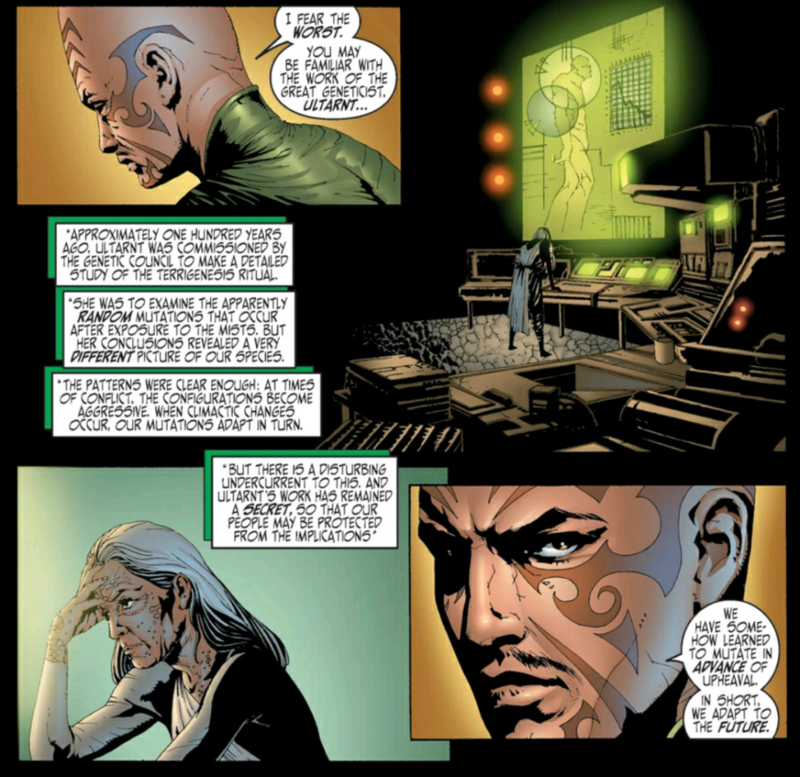 The Inhumans are defined by their uniqueness, so it’s only fitting that Lee – so far removed from “house” Marvel art of the 90’s that it’s insulting to even mention the distance between them – brought his glorious impending doom to every panel. While Inhumans builds a Game of Thrones the Marvel Universe had never seen before, Black Panther too enormous story-telling chances with a non-linear narrative and expanded elements of the Black Panther mythos. Writer Christopher Priest is clearly proud of his attempts at Quentin Tarantino off-kilter beats, but damn if they don’t work more often than not. Seemingly throwaway one-off panels of a Chinese cook yelling at Ross (our lovable, and yes white, consultant) expand into important gap-filling scenes as the series progresses. More importantly, T’Challa has never been cooler, calmer, or more kingly than he is within the pages of this all-new Black Panther. Coasting through New York with his underage yet disturbingly attractive Dora Milage (wives in training… Wakanda everybody! ), the Black Panther steps out of the shadow of all those Avengers and showcases what it takes to rule a nation of warring factions. All in all, I love these comics, and what they represent, paving the way for more stylistic, non-traditional representations of underexplored Marvel characters in the 2000’s. I mentioned my nervousness about these rereads, and that definitely was at its peak for Daredevil. Guardian Devil not only inspired me to continue reading Daredevil comics, but it set the stage for an insanely high-quality decade of Daredevil, first from Brian Michael Bendis and Alex Maleev, and then from Ed Brubaker and Michael Lark. I wasn’t so sure Guardian Devil would hold up though. Kevin Smith’s comic book writing comes under a lot of fire these days (just google “Kevin Smith Black Cat” for more) and I anticipated a lot more problematic elements that I might have glossed over the first time through. TEXT… virgin birth…TEXT… guardian devil… TEXT!! The answer, as usual, lies somewhere in the middle. While I can’t sing the same embellished praise as I did for Inhumans and Black Panther, I still really like the concept behind Guardian Devil. It’s mysterious, there’s a villain I never saw coming, and most importantly, this book closed out the Frank Miller era Daredevil, while still clearly indicating it was Miller’s tone that would prevail for ol’ Hornhead moving forward. For a number of comic book readers, this is a very bad thing. Personally, I think Frank Miller’s Daredevil is fantastic, and am extremely glad it inspired such a gritty deconstruction of Matt Murdock’s life. By the time Mark Waid’s Daredevil hit in 2011 everybody was more than ready for some fun Daredevil, and I felt exactly the same way. But while it lasted, Guardian Devil’s break-the-devil approach made for essential comic book continuity. The reading experience is more of a challenge, especially as a reread. Kevin Smith is unwholesomely wordy. I generally don’t feel the need to complain about this – more story for your $3.99 is usually good – but man are the text panels distracting from Joe Quesada’s art across these issues. That said, when I was reading this story for enjoyment the first time, and not rushing a reread to try and write a recap for the week, I completely enjoyed this story. I’m going to go with my first instinct here and still say this is a very worthwhile set up for the Daredevil of the 2000’s. For week 7, we’ll be looking to the stars with some early 2000’s Marvel Cosmic. 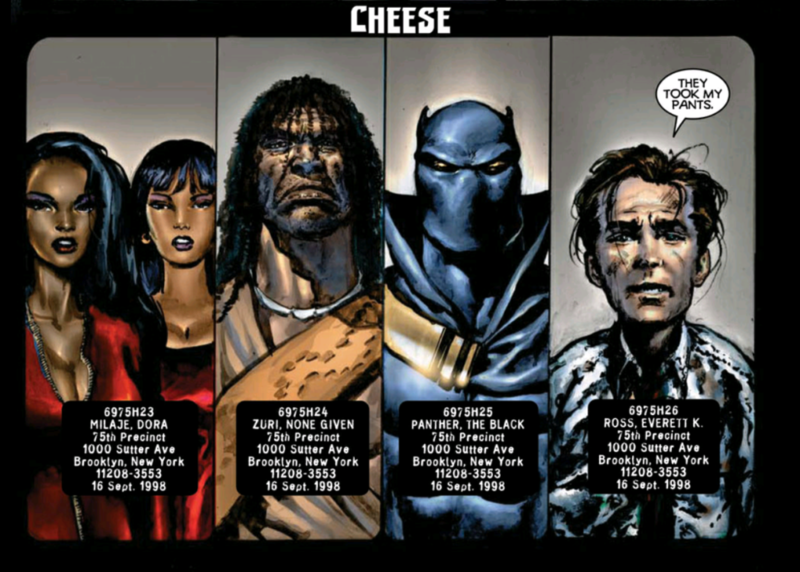 This run on Black Panther not only made me love the character, but become one of my favorite runs in comics as a whole. If the BP movie comes out, and “We will have an understanding between us, you will speak of it to no man” is not used, I will be quite upset. The non-linear story-telling was okay for one Black Panther arc but it outstays it’s welcome. Weirdly it was editorially mandated rather than the author’s choice, and later on I think that shows. I enjoyed them but found them quite dense and confusing – that was sort of the point I guess though. Daredevil is my favourite Marvel hero, one of the few I’ve read the entire history for. Guardian Devil is great, but very much feels like the transition between old and new, the Miller, etc. age to Bendis/Brubaker. Though that probably extends to all these Marvel Knights books of this age – they (and the Ultimate line) are the first steps in transitioning to something different. Inhumans – I’d never read any before, started here on your recommendation and well… that lack of familiarity with the characters means I didn’t even realise until reading some other Inhumans stuff that the kids were not the ‘main characters’ and previously it had been all about the Royal Family. So I guess by that measure it’s a bad introduction to the Inhumans (at least as far the characters, if not concepts, go), but it’s a bloody brilliant stand-alone tale. Currently making my way through your reading order and it’s been a highlight so far. Awesome, glad you dug Inhumans. I think that’s a good point about it not really serving as a functional introduction. The Royal Family background established in Fantastic Four goes a long way. But man, do I love that series. Agree with the transitional nature of Guardian Devil. Crucial, had to happen, but leads to something better. 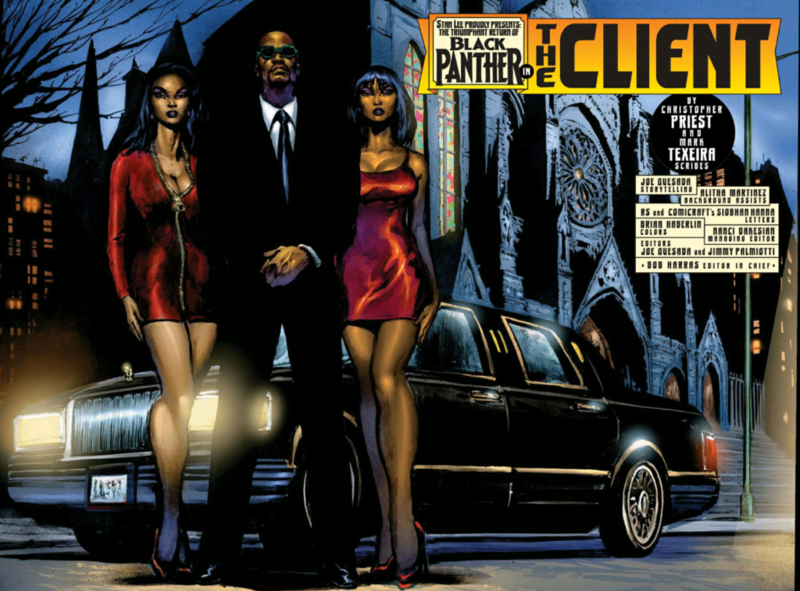 Quick note: Christopher Priest wrote this batch of Black Panther. Reginald Hudlin wrote later on in the same volume.